Biochemistry also called as biological chemistry (living things). Biochemistry is a branch of science concerned with the chemical and physico-chemical processes that occurs within living organisms. Biochemistry is the study of chemical processes within and relating to living organisms in the blood by controlling information flow through biochemical signaling and the flow of chemical energy through metabolism, biochemical processes give rise to the complexity of life. Biochemistry deals with the chemical compounds and processes occurring in organisms and the chemical characteristics and reactions of a particular living organism or biological substance. 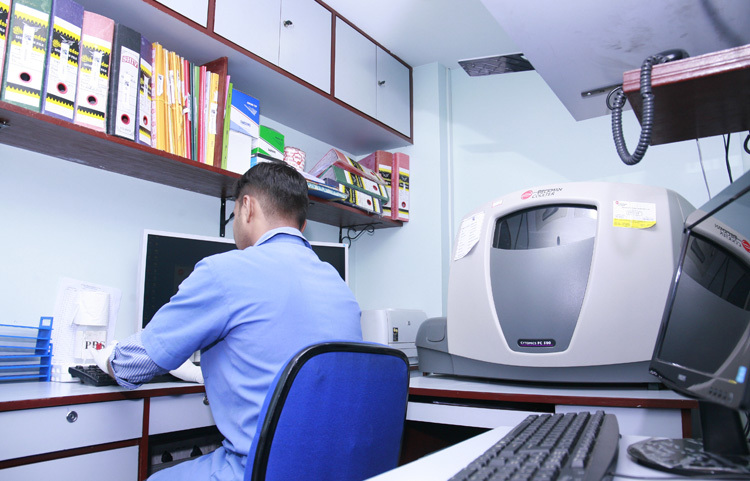 At Quadra, we follow the main principle of dry chemistry which is based upon the reflectance spectrophotometry. Reflectance spectrophotometry measures the reflectance of materials. Reflectance measurements are of great value in providing a reference standard for the comparison of the colour of different samples. 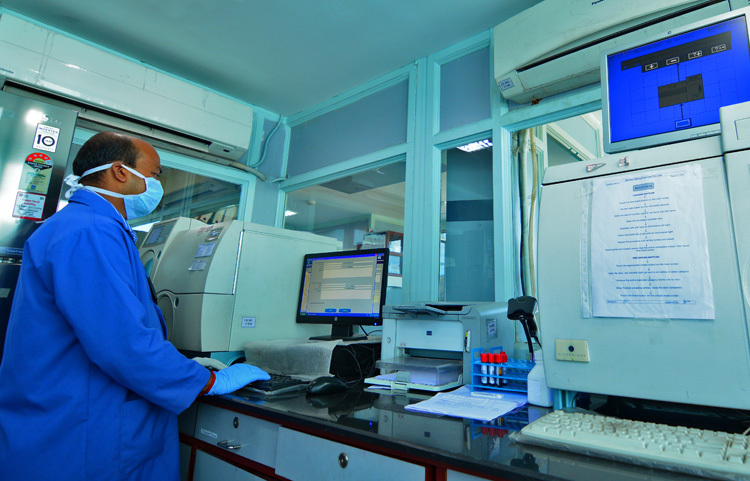 At our Automated Laboratory this branch of investigation is concerned with the study, diagnosis, treatment, and prevention of diseases related to blood. Hematology includes the study of etiology. It involves treating diseases that affect the production of blood and its components, such as blood cells, haemoglobin, blood proteins, bone marrow, platelets, blood vessels, spleen, and the mechanism of coagulation. Such diseases might include haemophilia, blood clots, other bleeding disorders and blood cancers such as leukemia, myeloma, and lymphoma. 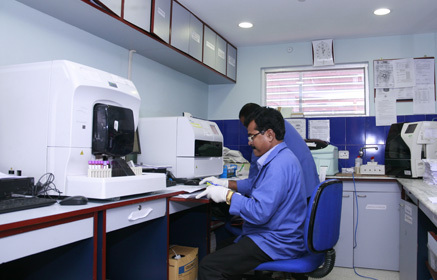 At Quadra Immunohematology is performed using advanced flowcytometry technique which studies antigen–antibody reactions and analogous phenomena as they relate to the pathogenesis and clinical manifestations of blood disorders. 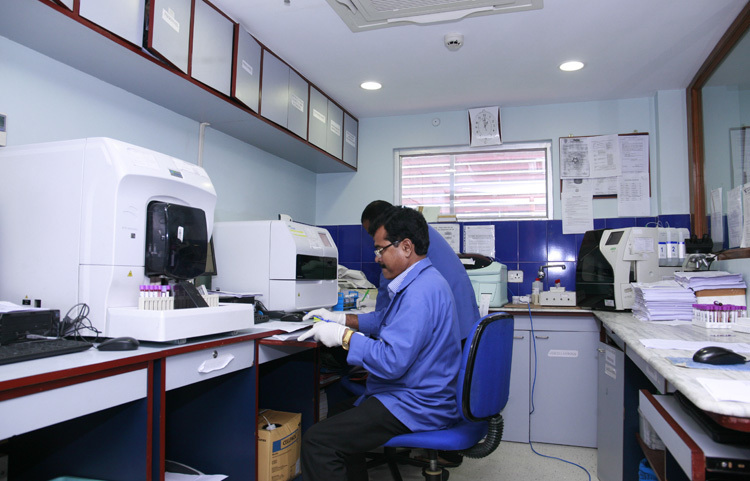 Quadra undertakes diagnosis of disease using laboratory testing of blood/urine/stool and other bodily fluids, tissues, and microscopic evaluation of individual cells. Our board-certified veterinary clinical pathologists and technologists provide laboratory results in a timely, efficient and thoughtful manner; supporting research, clinicians, referring veterinarians, and students in the diagnosis and treatment of many animal species. 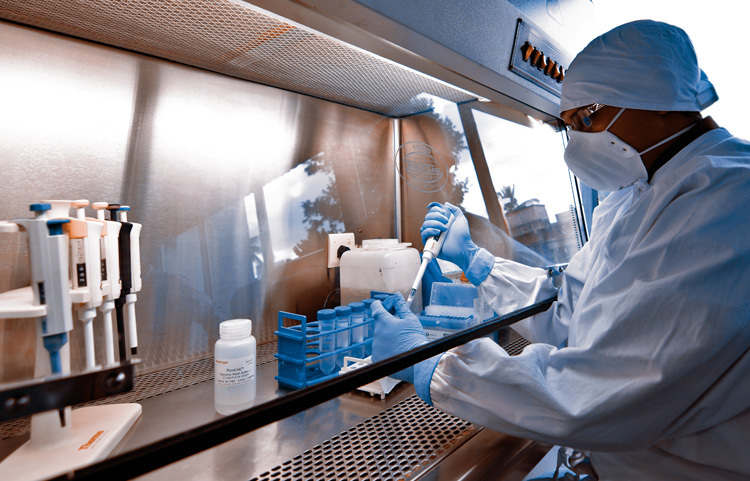 At Quadra, Immunology covers the study of immune systems in all organisms. We chart, measure and contextualize the physiological functioning of the immune system in states of both health and diseases; malfunctions of the immune system in immunological disorders (such as autoimmune diseases, hypersensitivities, immune deficiency, and transplant rejection); the physical, chemical and physiological characteristics of the components of the immune system in vitro, in situ, and in vivo. Immunology is practiced in numerous disciplines at our lab, particularly in the fields of organ transplantation, oncology, virology, bacteriology, parasitology and dermatology. At Quadra we perform microscopic examination of tissue in order to study the manifestations of disease. 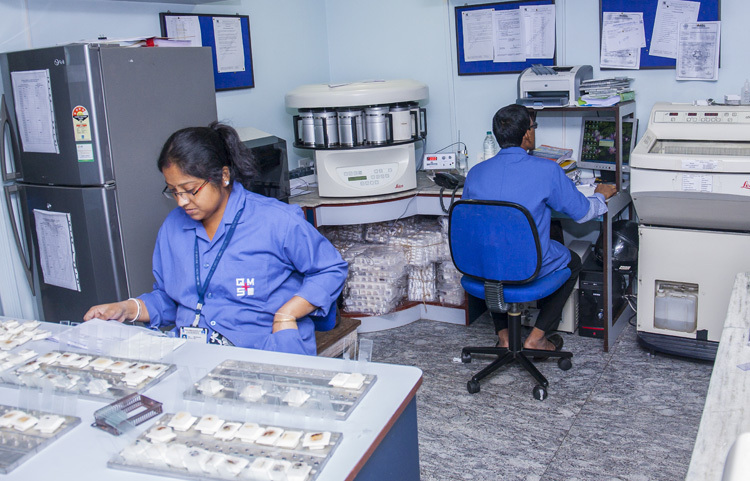 Specifically, in clinical medicine, histopathology refers to the examination of a biopsy or surgical specimen by a pathologist, after the specimen has been processed and histological sections have been placed onto glass slides at our fully automated histopathology lab. In Immunohistochemistry section of our Laboratory tests are performed using antibodies to test for certain antigens (markers) in a sample of tissue. The antibodies are usually linked to an enzyme or a fluorescent dye. When the antibodies bind to the antigen in the tissue sample, the enzyme or dye is activated, and the antigen can then be seen under a microscope. Immunohistochemistry is used to help diagnose diseases, such as cancer. It may also be used to help tell the difference between different types of cancer. Cytology is the study of cells. Cytology is that branch of life science that deals with the study of cells in terms of structure, function and chemistry. Rifampicin resistance. The reports are provided next day. HBV and HCV Viral load monitoring is essential for management of chronically infected hepatitis (B & C) patients. 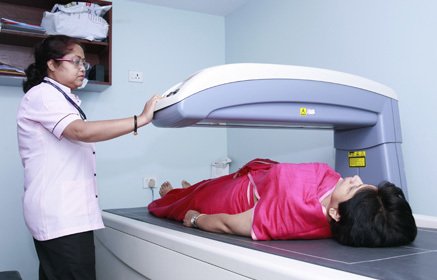 Automated identification and sensitivity (MIC) is provided by Vitek 2 System. 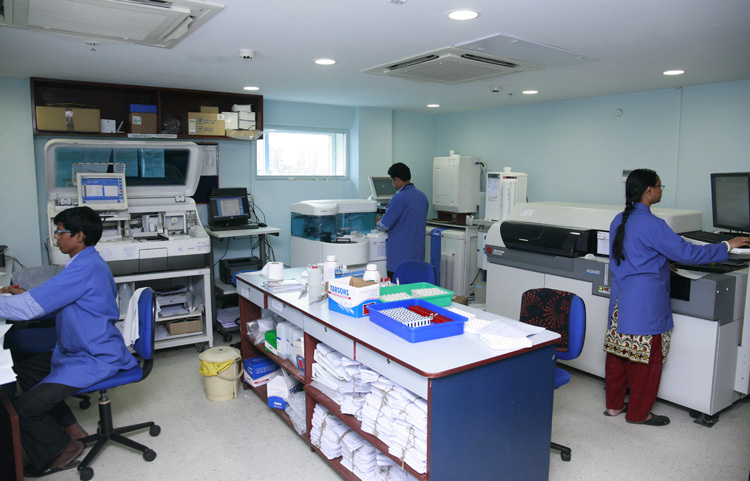 Culture of Anaerobic organism are performed in the microbiology lab. Various Fungal stains (KOH Wet mount, PAS, India Ink) along with fungal culture is performed.